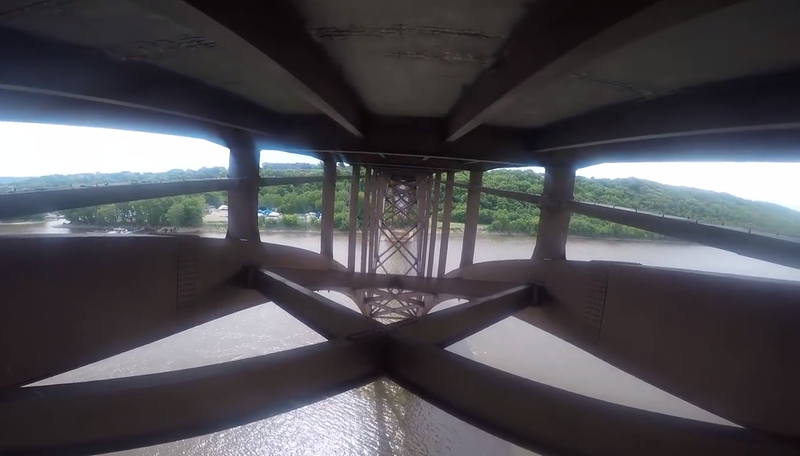 This image from MnDOT shows the deteriorating underside of the High Bridge. As you’ve no doubt heard by now, the High Bridge will be closing for a couple of months in 2018 (news outlets have been reporting 2017, but the date has been pushed back). The decking on the bridge needs to be replaced — no small project — and while they’re at it, MnDOT is going to go ahead and do some resurfacing of Highway 149, including Smith Avenue. You may also be aware that around five years ago, a group of neighborhood volunteers from both St. Paul and West St. Paul endured eagerly participated in more than a year’s worth of meetings to establish a new comprehensive plan for the Smith Avenue corridor (disclosure: the writer of this post was a participant). The transportation section of the plan included provisions for improving pedestrian safety and calming traffic, addressing one of the biggest concerns for business owners and residents along the street. The previous plan was drafted in 1984 and was basically ignored for more than two decades. This time around, though, would be completely different, we were assured. Next time the street is reconstructed, big changes would be coming. So does this construction project mean the plan will finally be implemented? Well, maybe, maybe not. For instance, while the comprehensive plan calls for “bump-outs” at key intersections throughout the corridor to make it safer for pedestrians to cross and to encourage drivers to keep it somewhat close to the speed limit, so far it appears only one intersection — Baker Street — is being considered for this upgrade (details on page 184 of this document). The plan calls for updating any non-ADA compliant sidewalk, which means a lot of curb corners are going to be replaced, so any changes (or lack of changes) made during this project are likely to stick around for a long time. You’ll have a chance soon to offer more input. MnDOT is scheduling community meetings at both ends of the bridge in August and September. We’ll post more information here as it becomes available. Also, you can sign up for email updates from MnDOT about the project.